For the past two weeks, I have been using the Galaxy S6 and I have loved it. Don’t get me wrong – there is plenty I don’t like about the phone, but there is so much to love that the annoyances are easy to overlook. Reviewing the Sony Xperia Z3v made me think hard about switching back to Android, but the Galaxy S6 convinced me. 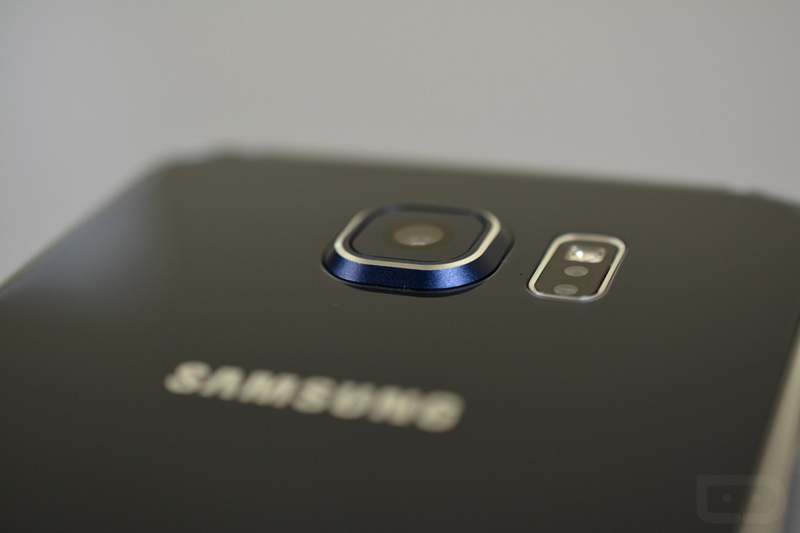 This isn’t another full review (read our full review here), but rather my thoughts about the S6 as an iPhone user who still loves Android and misses it dearly. 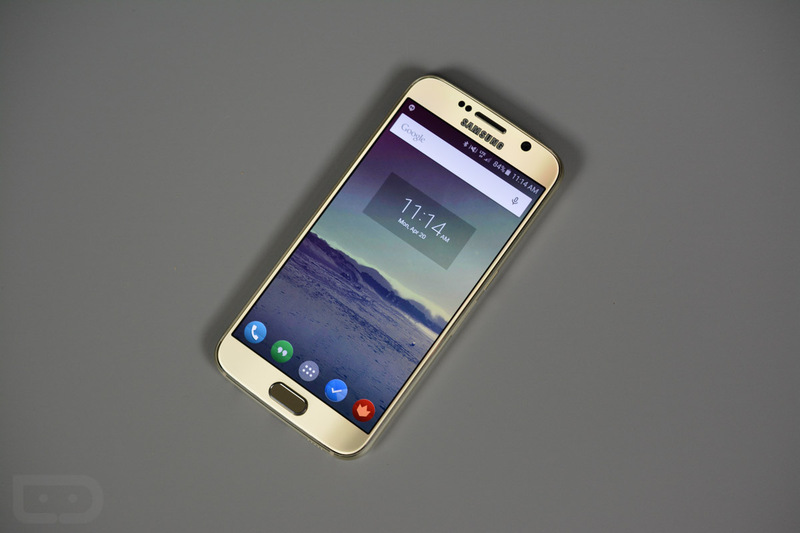 The display on the S6 is stunning. The viewing angles are superb and it can get darker than my iPhone and brighter than it, meaning I can use it in pretty much every scenario throughout the day. 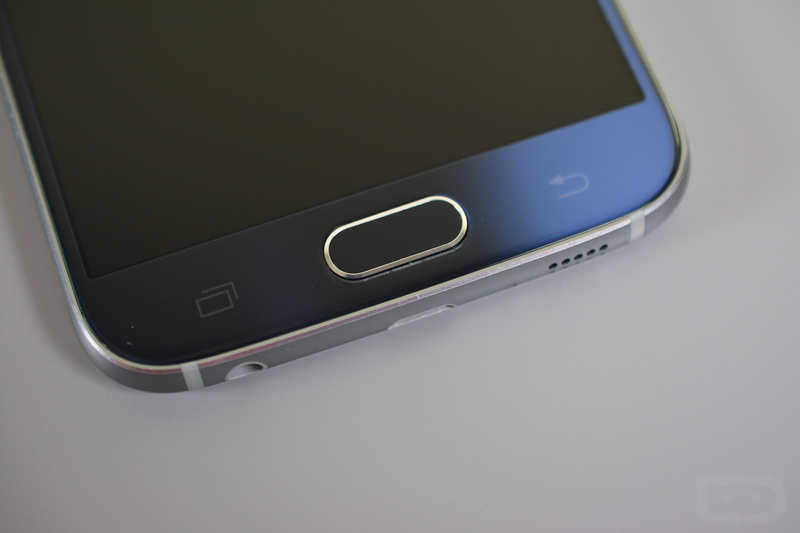 I love the little curves on the edges of the display, especially when compared to the slopes of the Galaxy S6 Edge. While I still prefer the curves of the iPhone 6, these curves are delightful in their own subtle way. The display is certainly large, but I can reach the notification tray without risking dropping the device, which is good enough for me. The color accuracy is great, I can’t see any pixels, and there is a good balance of bezel surrounding the display. The body of the phone feels fantastic. It’s incredibly similar to Sony’s Xperia line, which I love. 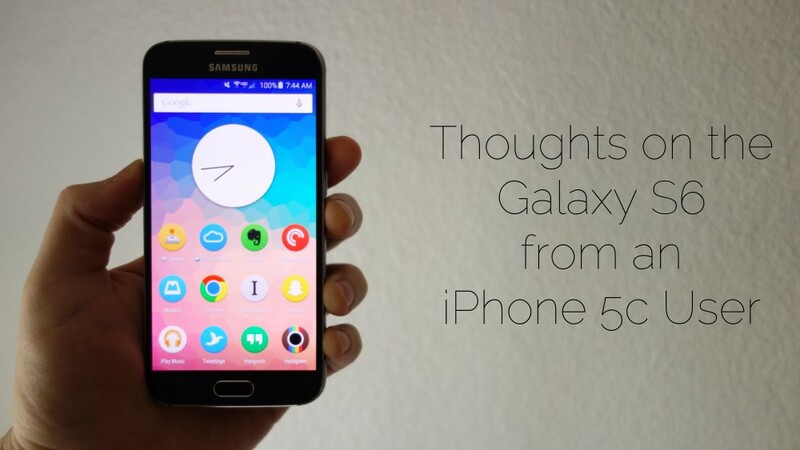 While we are on the subject of comparisons, there has been a lot of talk about the Galaxy S6 looking like an iPhone. It certainly is reminiscent of the iPhone 5, 5c, and 6, but only in fleeting ways. If you have ever picked up an Xperia device I think you will find far more similarities between the S6 and it than an iPhone, between the round metal frame that is flattened on the left and right edges, and the edge-to-edge glass that bleeds into those edges. All of that to say, the phone feels great to hold if just a little too thin. The camera hump on the back of the phone is alarming at first. I set my phone down multiple times a day and I want my camera to still work great after two years of setting the phone down. I don’t want to be worried about the lens cracking or catching or getting dusty. That being said, I’ve found the lens and the edge around it to be very durable. I would still heavily consider getting a case or a skin for better protection, but I imagine it should hold up fine with normal use. The use of a chrome speaker grill on the top of the phone is disappointing – I strongly prefer the look of Sony’s recessed speakers, but the speaker is loud and works fine despite being an eyesore. I also wish Samsung would stop placing their logo on the top of their phones. That little details and the overall shape of the device makes the Galaxy S6 look just like every other Galaxy despite its glass and metal adornments. TouchWiz is toned down across the device, but it’s still very much present. I was able to hide its more troubling parts with Nova Launcher and Audax, but the fact that things like S Voice still exist is a bit troubling. The phone comes with tons of bloatware installed, some of which can be uninstalled, some of which can be disabled, and some of which you’re stuck with. Most annoyingly, Samsung’s keyboard insists on re-enabling itself over and over no matter how often I turn it off. Once you disable all the garbage and get everything set up the device flies and feels great to use, but admittedly I’d rather Samsung just leave that junk out of the device in the first place. This is an old complaint, but it’s stuff like this that makes me hesitate to recommend a Samsung phone to a friend over an iPhone. Apple cares about their users too much to put this garbage on the phones. I get that Samsung and the carriers get a kick back for adding this software to the device, but is it really worth it? It’s an obviously worse experience. Android phones don’t have to be the Windows laptops of phones. Samsung finally implemented their fingerprint reader in the best way possible, but they did so with a thin, wide home button that makes for a poor surface for scans. When the reader works it works quickly and effortlessly. When it doesn’t, it’s maddening. I seem to have good days and bad days, but more good than bad which is why this is somewhere in the middle. By the second week I was consistently able to unlock the phone with my right thumb, but my left thumb always had trouble, even after redoing the scan setup process. Between the bad days and the limit of four fingerprints to be stored I think Samsung still has plenty of room to grow, but they have me sold on having a fingerprint reader on any phone I buy in the future. The Galaxy S6 launches apps incredibly quickly, shows the multitasking cards instantly, and responds immediately to every tap and swipe. That said, I did see some hiccups. For example, when I would blow up a lot of stuff on Sky Force the frame rate would drop. It’s a small detail, but it was noticeable. Then there’s the memory management. The Galaxy S6 comes with 3 GB of RAM, but my iPad 3 with a measly 1 GB of RAM keeps tabs and apps open for longer (which is not saying much since it reloads tabs and apps regularly, especially after it upgraded to iOS 7 and 8). From what I’ve seen the HTC One M9 does not suffer from the same memory issues with indicates that either HTC patched a Lollipop issue or Samsung needs to work on their memory management; either way Samsung needs to fix this issue. I have a commute every day and I’m a worship leader at my church, so I listen to a lot of podcasts and a lot of music, which means the audio experience is very important to me. Some of my complaints here might seem nit picky or obvious, but remember the name of this site is Droid Life, so if there’s a place to be nit picky and nerd out on the little details I think this might be it. For whatever reason everyone agreed to using the same 3.5mm headphone jack, but not the same headphone wiring. Why? I don’t know, but it is truly maddening. If I plug my Apple EarPods in (yes, I use them and no I don’t mind them) then I’m able to hear everything and control play/pause, but I can’t control the volume. I can, of course, use Samsung’s included headphones (not everyone includes headphones, but they should) or bluetooth headphones, but not being able to use the ones I like (and that fit my ears better) was a mild annoyance. Then there’s the volume control. Every time I plugged the headphones in and started playback the volume would be too low, so I would crank it up and then have to tap OK on a pop-up warning me about the dangers of high volume to my hearing. While I appreciate Samsung looking out for my hearing, they clearly have no idea what audio levels are appropriate because they don’t know the levels of the audio I’m listening to. For music their safe levels are fair, but for podcasts the audio varies depending on the producer, so the warning is often a moot point. To Samsung’s credit, but the second week I stopped seeing this warning. Also I’m completely deaf in both ears (just kidding). When plugging in headphones I had to reset the volume level every time. On my iPhone it remembers the volume level without headphones and with, which is fantastic. I can deal with setting the volume, but it was particularly annoying when I would disconnect the headphones for a moment and then reconnect them a moment later and the volume had reset to a “safe” level. The Galaxy S6 comes in a few colors, but pearl white is the only good looking option. I think the black sapphire is too blue, the gold platinum is too creamy, and the blue topaz is too… topaz. Then there’s the Edge’s green option. Will anyone get that? Yuck. I love my blue 5c and I wish Apple would bring color options like that to the whole iPhone line, but I also wish Samsung (and other manufacturers) would make their phones in appealing colors. Not everyone likes the bright colors of the 5c, I know, but give me better options than something that is two toned with one good color and one bad. Maybe it’s Samsung’s software, maybe it’s Android 5.0.2, maybe it’s the smaller battery, but the battery life on the Galaxy S6 is atrocious. Again, I say this as an iPhone 5c user. The battery in 5c went from getting me through most of a day to getting me to 1 or 2 o’clock after a year and a half of heavy usage. The Galaxy S6, brand new out of the box, usually survived about twelve to thirteen hours. Support for fast charging certainly helps alleviate that in day to day usage (I’m still surprised when I plug the phone in and a moment late it’s at 50-60%), but I had higher expectations for a phone of this size. I understand why my tiny iPhone 5c can’t get my through a day after a year and a half, but the Galaxy S6? What’s its excuse? Maybe a future update will improve the battery life, but as it is I think the Galaxy S6 definitely has disappointing battery life. It isn’t bad enough to write off the phone, but it is concerning. Speaking of bad battery life, not having a removable battery makes me worried about the longevity of the battery. The poor life means more charging which means more wear on the battery. Fast charging means I’ll be able to get my battery charged fast, but if it discharges too quickly then it really isn’t helping me any. Like we’ve said plenty of times before, if you’re looking for an Android phone this is the one to get. If I had an upgrade right now (and I don’t) this device would be at the top of my list. I think the Galaxy S6 will easily be the phone of the year unless Samsung outdoes themselves with the Galaxy Note 5. As for me, I’ll be back to my minuscule iPhone 5c until October. Then we’ll see what happens.